I have done B. Tech. in Electrical Engineering from IIT Roorkee. I have graduated 2 months back, and now working in Microsoft for over a month. How to crack the interviews and get a decent job? So, the organizations will be coming in many colleges soon, and conduct their shortlisting tests. Now, I will be talking very short and to the point. Each point is important. 1. Need to improve implementation, debugging skills. 2. 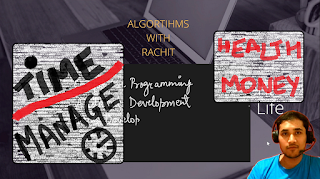 Learn the basic set of data structures and algorithms as mentioned above. 3. Begin by doing all 37 problems on GeeksForGeeks under array category. 4. Move on to DP on GeeksForGeeks. 5. For sets, maps I think problems on CodeForces like I mentioned above will be better. 6. Cover other topics like greedy, dfs/bfs from GeeksForGeeks. This should take around 2 weeks. I don't think people who are consistently doing CP would face the need of doing linked list, stacks, etc from geeksforgeeks. But its good if you give it a fast skimming read. Now start off at interviewbit and solve problems there so that you familiarize yourself with verdicts like WA, AC, etc and also how to respond in case of TLE or WA. This will improve your implementation and debugging skills. This will clearly help you understand the various concepts like DP, trees, etc. You must also participate in the ongoing challenges on sites like Codechef, Codeforces, Hackerrank, etc. Once you are stable blue on CF around 1700, you can easily clear the recruitment tests. Then all you have to do is brush up your explanation skills so that you can clear the interview rounds too. NOTE: Speed is important. Many times people fail by 10-15 mins to implement the algorithm correctly. This will really turn you off. So keep practicing everyday! Hi rachit the post is very nicely written!! Can you just explain the following point in a bit detail? "5. This tip is more of a personal experience. In one of the test, I was getting only a score of 25. I soon realized that the for loop conditions weren't true and I was simply printing 0. When I corrected it, I got a score of 75. Yes! so I had to basically see that if I am getting a WA in some test case, I need to print 0 there. Finally I used binary search on the values of variables(size of array, first element of array) to identify those test cases, and simply print 0. Basically what I did was used an infinite while loop with some condition like $100<n$ and $n<500$ so that I get the verdict TLE, and I am able to figure out those test cases where I was getting WA." I came to know about your blog(this post to be specific) through your youtube channel. Must say its very well compiled. But coming to myself, I am currently working in an MNC since 8-9 months, have not done much CP as well. Can you suggest some approach for me as well so that I can prepare to target better companies.